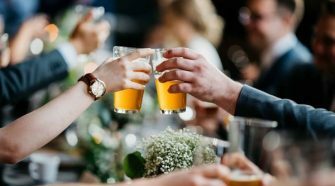 Before you book the pros that are going to be serving up the goods to your guests, there’s a definite set of information you’re going to want to learn about your pick. 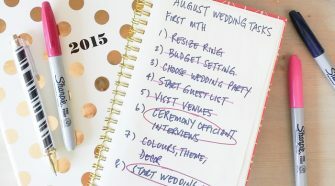 Minus the food prep, your caterer will help you plan your entire reception timeline, so you’ve got to make sure you’re choosing someone that knows how weddings work. No matter if you’ve decided to go All-American or serve up the most delicious of Italian courses, check out these 8 must-ask questions for your caterer – before you sign on the dotted line. What does their schedule look like? Are they providing for any other events on your big day? Why: It’s completely normal for a caterer to have more than one event on any given day. 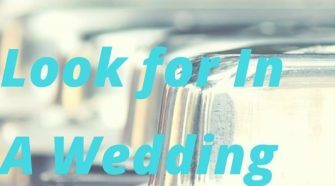 But you want to be sure that your wedding will have everything it needs and more come time to serve. Make sure there are plans and backup plans in place that make you feel comfortable. What’s their specialization? Can they provide meals for guests will special diets? Why: Make sure that you have what you’re envisioning within this particular caterer. If you want tacos, you’ve gotta be sure that they can whip those up. Also, it’s important to ask the caterer if they can provide meals for guests with special diets. For example, are there any vegetarian, gluten-free, or kid-friendly options that you can choose from? When does the caterer need the finalized choice by? Why: At some point, you’ll need to let the caterer know how many guests have RSVP’d, who needs and what kinds of special meal orders have been placed, as well as what everyone’s choice of “meat” is if you’re going with a sit-down meal. Can you take a look at photos of presentation? Why: This one is an obvious one, but still important enough to add. You’ll want to see what each of the finished products is expected to look like for your big day. This way you can also provide some personalized direction too! Ask about their pricing, packages, as well as any upgrades or hidden fees. Are gratuities included? Why: You don’t want that bottom line budget to be affected by hidden fees (like set-up and clean-up) or because you failed to ask for a breakdown. Take a look at their packages and make sure you know exactly what’s included before committing to the payment. Is this a full-service caterer? Why: Is this caterer merely providing the food or are they providing table setup, waiters, bartenders, and the like? A full-service caterer will not only deal with the food prep but will handle all of the other important parts as well. 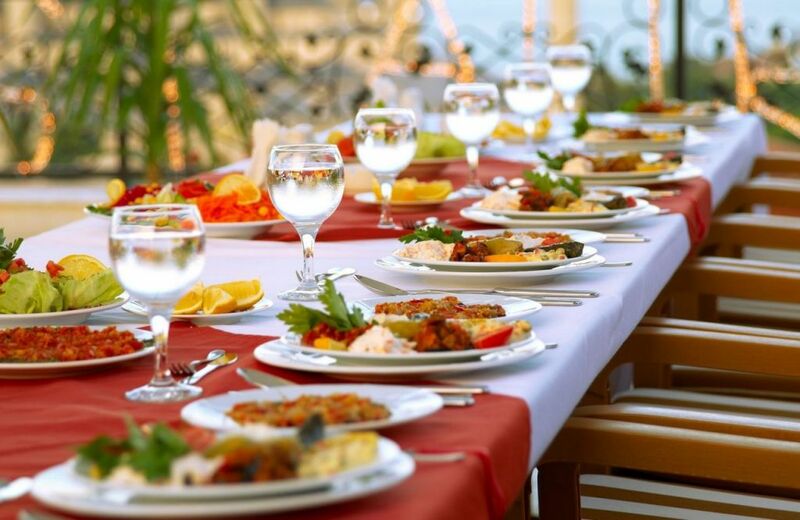 For example, bar service, set-up, clean-up, should all be included with your full-service caterer. And if not, you’ll have to look for extra help for hire. Does the caterer have a license? Ask to see it! Why: It may be one of the last questions on the list but it’s also one of the most important. Double check to make sure that the caterer you hire has a license! This just means that they have met local health department standards and carries liability insurance. 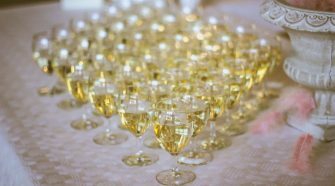 If you’re wanting the caterer to provide the alcohol, do they have liquor liability insurance? Why: And finally, you’ll want to check their liquor liability insurance and license as well – if you plan on them to provide the alcohol for the evening. If something goes wrong at the party, like damage to property because of reckless guests, this will help lessen the issue.